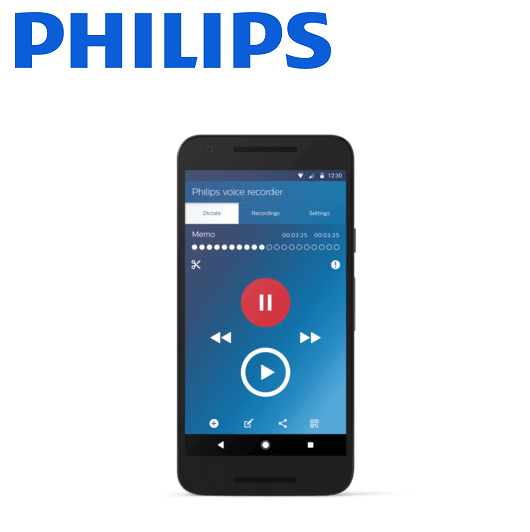 A 12 month licence with Philips SpeechExec Dictation Hub for your iPhone. This licence enables you to access and utilise all the benefits of a professional, efficient and effective Smartphone dictation solution, without the added expense of underlying server infrastructure. Record your dictations onto your iPhone and transfer the files to your SpeechExec solution. SpeechExec Dictation Hub will send the dictation files to an email address, such as to your secretary, or to an FTP location, such as a pre-selected transcription company, like Pacific Transcription, as determined by you. No matter where you are, as long as you have internet access, your files are sent quickly and efficiently to the right destination, delivering a seamless dictation and transcription solution for the busy professional using SpeechExec Standard or Pro software.